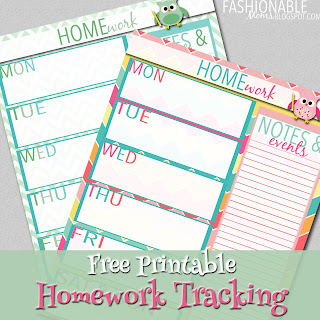 Here is a free printable homework tracking set that I just designed. Enjoy! Owl clipart purchased from Gifseasonstore on Etsy. Background purchased from RacoonGirlDesign on Etsy. Green chevron background purchased from prettygrafik.com. 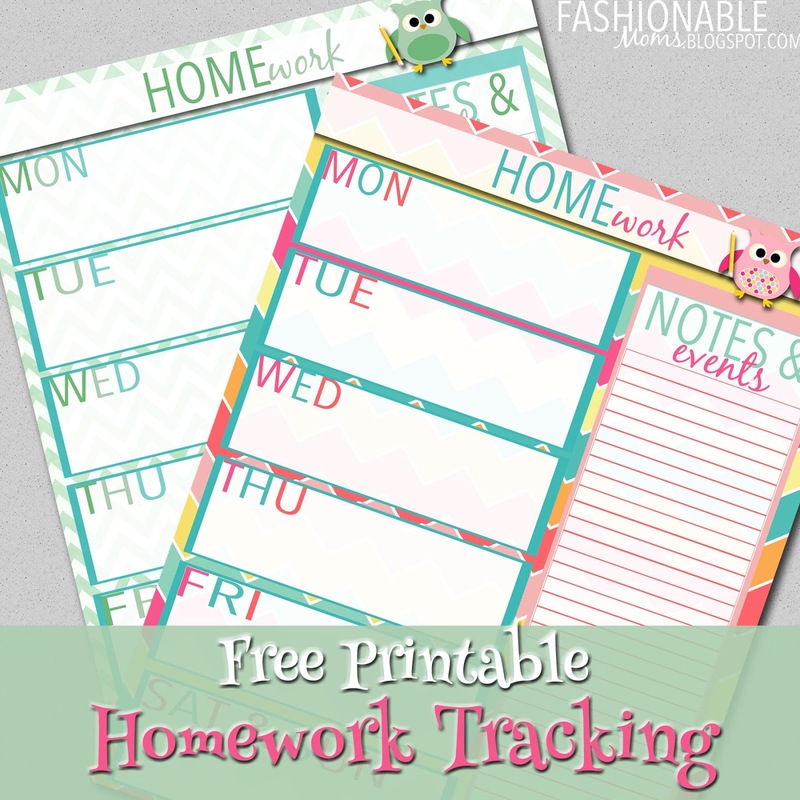 Design by Jamie/fashionablemoms.blogspot.com for your personal use. Professional printing allowed.